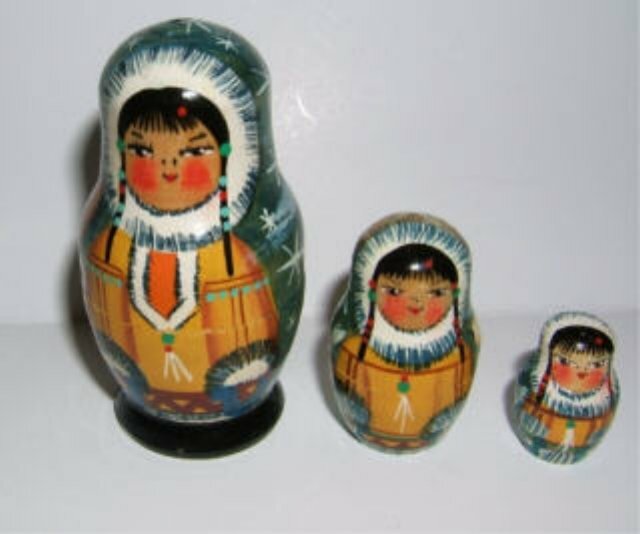 This is for 3 Nesting Eskimo dolls. They are 3", 1.75", and 1" tall. They fit together tightly and are in Excellent Condition.